After an easy test drive on the ATV Quads, we will start our adventure by discovering Cooks Bay. 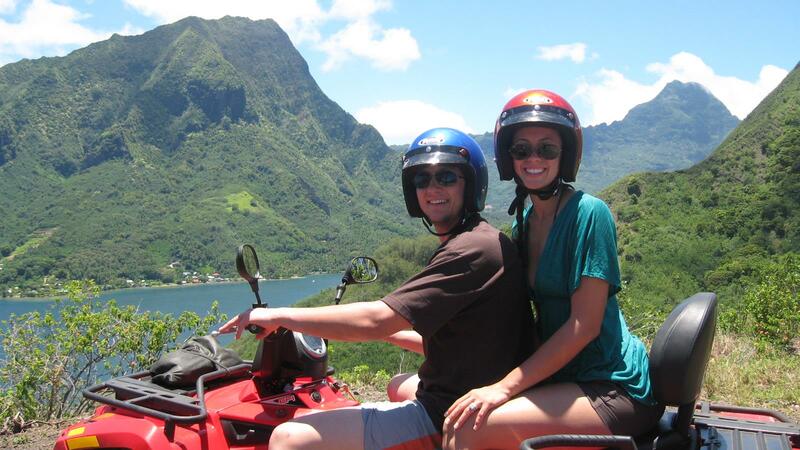 Then drive through the Paopao Valley by using the island ring road passing through pineapple fields before arriving at Le Belvedere Lookout Point for amazing views of Cooks and Opunohu Bays. You will continue to the interior trails of Opunohu and stop at the agricultural college where you discover various tropical plants, flowers and fruits, native to French Polynesia, including Jam and Fruit Juice tasting. 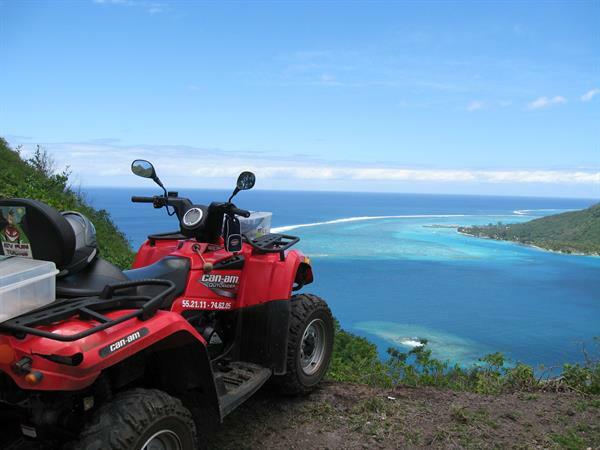 Then ascend Magic Mountain, an optional hike that travels the last 300 feet (91 meters) to the summit for a stunning view of Moorea's North Shore.